Rt. 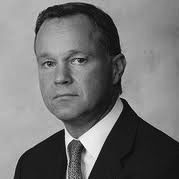 Hon Mark Simmonds was until recently The Foreign & Commonwealth office Minister with responsibilities for Africa, the Caribbean, UK Overseas Territories, International Energy and Conflict Prevention. He served as a Member of the UK Parliament for 14 years. He focused on driving and facilitating inward investment into Africa across a range of key economic sectors including Hydrocarbons, Financial Services, Infrastructure, Energy & Agriculture. He has an immense knowledge of the economic and political composition of African Governments, countries and regions and he Chaired the UN Security Council on two occasions. He now has a number of International roles including senior consultant to Kroll, Deputy Chairman of the Commonwealth enterprise & Investment Council & Chairman of the advisory Board of the Global Investment platform ‘Invest Africa’. Senior Advisor to Farallon Capital, Non-Executive Director of Block Commodities Ltd. Chairman of the Counter-Extremist Project (UK). 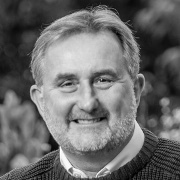 Rory O’Brien is the co-founder, CEO of Abridge Consulting Partners (ACP), a specialist consultancy serving the global capital and commodity markets. ACP is currently directing the development of China’s first, truly-international commodity exchange. ACP’s consultants experience and advice will be available for the development of FinComEco’s African commodity exchanges. After education at the Universities of Kent and Cambridge, Rory entered consultancy and worked on IT, agricultural and project management assignments around the World. 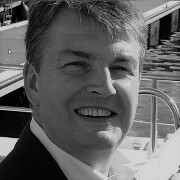 He entered the financial markets in 1992 and after 8 years with UBS Bank he joined LIFFE exchange where he started and developed their consultancy practice before leading major projects to implement the LIFFE trading platforms for exchanges around the World; the largest of these being the project to implement the global e-CBOT platform for the Chicago Board of Trade. 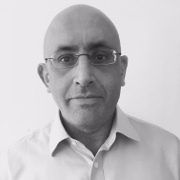 After LIFFE and its AEMS subsidiary he joined LCH.Clearnet as a Director and developed clearing opportunities for them; particularly in India and China. Rory has worked in more than 35 countries and specialises in leading projects internationally to establish and develop commodity exchanges and associated infrastructure. Hash has expertise in private investments primarily focused on special situations, distressed and private equity. He is also a Director in AARK Global, a Hong Kong based company focused on Asian opportunities. 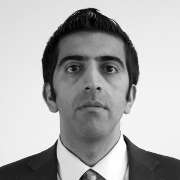 Hash was previously a Director in the Asia Pacific Illiquid Investment Team for DB Zwirn Asia Partners, from 2006. Previously, from 2002 to 2006 he was an Investment Principal in the Special Situations team at Actis Capital focusing on Asia ex-Japan. Prior to this he worked as an Associate at KPMG Corporate Finance, a Trader at PRICOA Capital and started as a Bond Salesman at Peregrine Fixed Income in 1996. Hash has a Masters in Finance from the London Business School (2001) and a Bachelors in Economics from the London School of Economics (1994). Neeraj has general management, marketing and entrepreneurial experience in financial services, outsourcing and research and analytics. He is currently a Director at Aranca, an India based research and analytics firm serving over 1500 clients globally. He is also an investor / advisor to a number of startups and outsourcing ventures. 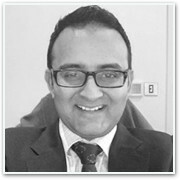 Neeraj has an MBA from the London Business School (2003) and a Bachelors in Accounting and Finance from the London School of Economics (1995).